Dan Brummitt Mr. Brummitt was elected in 2006 – District 4. Mr. Brummitt is a local general contractor and real estate broker. He is actively involved in his community and volunteers with civic and school organizations. Carolyn Faines Ms. Faines was elected in 2016 – District 1. She currently serves as the Founder and Overseer of I Believe God Outreach Church. She holds a B.S. degree in Organizational Management from Saint Augustine’s College, a Masters degree from Liberty University in Leadership/Management and an MBA from Liberty University in Business Human Resources. She is actively involved in her community and school organizations. Yolanda J. Feimster Ms. Feimster was elected in 2016 – District 6. She is an attorney licensed to practice in North Carolina. She holds a B.A. degree in Political Science from UNC-Greensboro and a Juris Doctor (law) degree from UNC-Chapel Hill School of Law. She is an Associate Minister at St. James Missionary Baptist Church in Henderson, NC. Thomas S. Hester, Jr. Mr. Hester was elected in 2010 – District 7. He presently owns a Residential/Commercial Rental/Sales Office – Prim Residential Rentals, Inc.
Leo Kelly, Jr. Mr. Kelly was appointed to the Board of Commissioners in November 2015 – District 5. He retired from Vance Granville Community College where he served as Dean of Continuing Education. He serves as President of the Community Relations Council for Kittrell Job Corps and Financial Secretary for his church, Cotton Memorial Presbyterian. He works as a Customer Associate for Lowes Home Improvement Store. 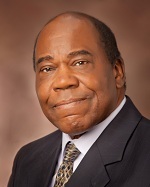 Archie B. Taylor, Jr., Chairman Mr. Taylor was elected in 2012 – District 2. He is a retired military officer and retired businessman who formerly taught part time at the Vance Granville Community College. Gordon Wilder, Vice-Chairman Mr. Wilder was elected in 2010 – District 3. He retired from Vance County Schools in 2002 and from Quality Equipment, Inc. in 2010. He is currently self-employed in a service and repair business and is active in civic and church activities.